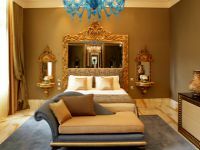 We have made a careful selection of Budapest Attractions in both Buda and Pest to give you a better idea of what you can be visit and where you can find it, so you can make the most of your visit to this beautiful city. 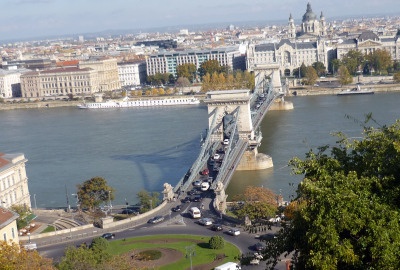 Did you know that Buda and Pest were originally two different cities? Well, I didn’t know it when I first came to Hungary. Buda, the hilly and leafy side, lies on the West bank of the Danube, while Pest, the administrative and commercial heart of the city, lies on the East bank. 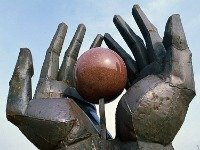 Here you can read about several wonderful Budapest attractions, information on how to find them, a little bit of history and some useful tips and advice. 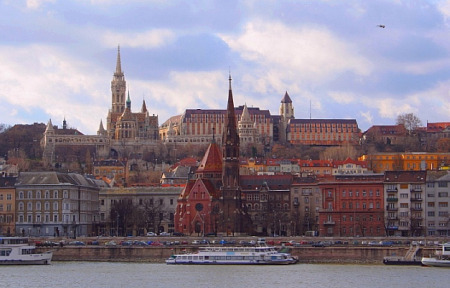 If you haven’t found yet a special deal to travel to Budapest, Flight Hub is a good place where to get cheap airfares. 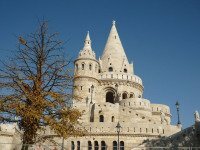 Castle Hill is one of the most outstanding Budapest attractions. It is a Unesco World Heritage site. 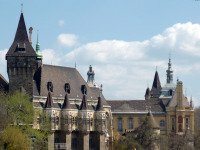 Here you can find some of the most popular city attractions: Buda Castle Palace, Mátyás Church, and the Fishermen’s Bastion, among others. Castle Hill is such a charming place, here you will find picturesque cobbled streets, townhouses, galleries, museums, cosy restaurants and historic monuments. 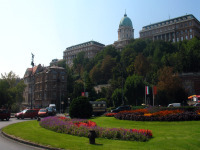 Buda Castle is the result of many palaces built and destroyed over the centuries, after numerous invasions and attacks on the Hungarian nation. It was built by King Béla IV in the 13th century, enlarged in a Gothic style by King Zsigmond of Luxemburg and expanded upon with a Renaissance flair by King Mátyás (1443-1490). Matthias Church (Mátyás Templom) was built in the mid-13th century, during the reign of King Béla IV, but was frequently restored, repaired, and remodeled on Gothic, Baroque and Neo Baroque styles, due to damage caused by the numerous invasions and attacks. However, the church is basically a Neo-Gothic creation designed by the architect Frigyes Schulek in 1873-1896. This fantastic structure is one of the most beautidul Budapest attractions. 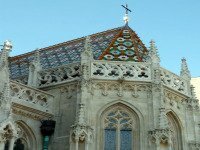 It was built by Frigyes Schulek, primarily as a decorative viewing terrace, simultaneously with the last major renovation of the Matthias Church (1895-1902). Local history says that in the Middle Ages, there was a fish market nearby and it was the duty of the fishermen’s guild to defend this part of the castle complex, hence the name of the Bastion. Chain Bridge (Lánc Híd) is the oldest and most beautiful bridge of the eight that connect Buda and Pest. This Budapest attraction and together with the Buda Castle, offers at night a stunning view when fully lit up. This is a wonderful fairytale scene – truly not to be missed. Gellért Hill is located to the south of Castle Hill; it rises 235 metres above the Danube and offers some of the best panoramic views of the city. This is my favourite Budapest lookout – the hill is high enough to make you feel you have the river and city at your feet. 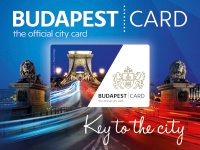 You can view beautiful scenes of southern Buda, the whole of Pest and see Buda Castle from another angle. The Vizivaros is the area of Budapest located between the Castle District and Western bank of the Danube extending northward to Margaret bridge and Westward to Moskva ter.The main street that runs the length of the area is called Fõ utca. The Memento Park (formerly called Statue Park) is an out of the ordinary museum that houses a collection of the giant statues that occupied prestigious places on the streets of Budapest during the communist era (1947-1988). Statues of Engels, Marx, Lennin and Hungarian Communist heroes stand side by side resembling dictatorship and repression. A shuttle bus leaves from Déak Tér at 11 am daily. Guided tours in English are also available. Read helpful reviews from recent visitors. 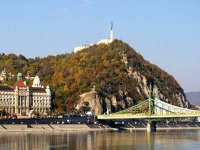 Pest lies to the East of the River Danube , and besides being the bustling administrative and commercial part of the city it also has rich historical and cultural treasures . 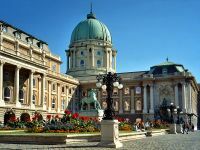 Museums, shopping centres, nightclubs, art galleries, restaurants and a wealth of attractions make Pest a firm favourite for many locals and visitors alike . 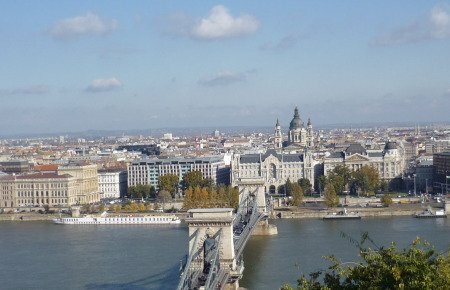 Below you will find a selection of the Budapest attractions you can come across in Pest, information on how to get there, a little bit of history, useful tips and advice from locals. The Hungarian Parliament is one of the Budapest attractions you really shouldn’t miss. 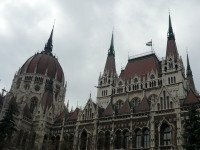 If you like the exterior of the Budapest Parliament, you will love its interior .Inside, the Parliament is astonishing and opulently decorated with marble and gold, as well as Zsolnay statues and ceiling frescoes. The Budapest Opera House is a breathtaking venue considered to be one of the finest opera houses in Europe. 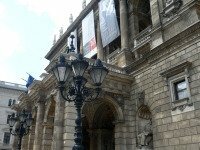 I would suggest that even if you are not an opera devotee, going to the opera in Budapest is a great experience that you shouldn’t miss while visiting this wonderful city. 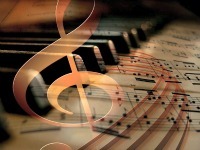 Take advantage of the affordable prices of the performances, tickets costs go from 400 ft. 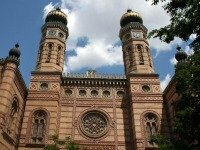 The Budapest Great Synagogue is the world’s second largest (after New York’s Temple Emanu-El) and the largest synagogue in Europe. The Great synagogue is majestic both inside and outside, its oriental Byzantine (Moorish) style, gilded ornaments and beautiful stained glass make it very unique and without a doubt one of Budapest’s unmissables. I would suggest you take a guided tour(available in several languages) that takes you through the Synagogue, the Jewish Museum and the Memorial Park.It might seem a bit pricey but it’s worth it. 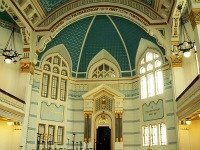 Read helpful reviews about Budapest’s Great Synagogue. 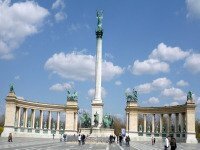 Budapest’s Square of Heroes(Hösök Tere) is one of the major spectacles for visitors to the city and a beloved place for locals year round. When considering what to see in Budapest, the square is of high historical and cultural importance and will bring you a lot closer to understanding the city and the Magyar nation. Budapest Basilica is undeniably one of the most impressive of Budapest sights. 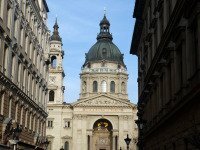 St. Stephen’s Basilica in Budapest is Hungary’s largest church and took some fifty years from start to completion. If you come between April and October, I would recommend going up to the dome for some nice views over the city. Danube Promenade is a pedestrian area built in the middle of the 19th century, it was a trendy spot where local aristocrats and celebrities liked spend their summer afternoons. 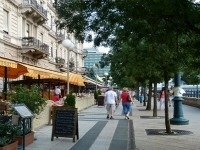 Today, the Dunakorzó or Danube promenade is a favorite of local and tourists alike. Budapest City Park is the city’s largest recreation ground and favorite of Budapest attractions for families. 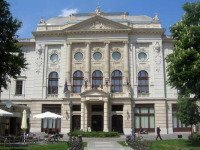 Here you can find lots of entertainment venues in one place: the Szechényi Baths, Amusement Park, Budapest Zoo, Transport Museum and the Grand Circus among others. 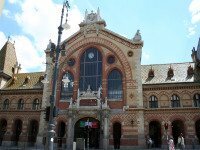 The Budapest Central Market Hall is the perfect place to get familiar with Hungarians and their gastronomy, as well as to get an insight into local life. It is also the best place to buy authentic Hungarian delicacies such as Foe Gras, paprika souvenirs, Hungarian salami, Tokaj, Unikum and Pálinka. The Holocaust Memorial Centre was founded to the memory of the victims of Holocaust in Hungary. Its interior offers a comprehensive social aproach to what happened to more than 600,000 Hungarian nationals mainly Jews and Roma during the Holocaust. Displays include interactive documentaries, films, photographs, personal stories and artefacts . A restored synagoga that served as an internment camp, is now a quiet place of contemplation. Read helpful reviews from recent visitors to the Holocaust Memorial Center.